From the Rosh Yeshiva of Yeshiva of Far Rockaway. "I will command My blessings upon you in the sixth year, and it will grow the produce of three years, (25:21)." With this promise the Torah answers the question "what will we eat?" if we observe shmitah. The Alter of Novaradok points out that the promise of three years growth and the question "what will we eat" are surely asked during the previous years, not in the sixth year. Because in the sixth year either it grew and you have no question "what shall we eat," or it didn't grow and then it's too late to grow. Therefore the question "what shall we eat?" and its answer, must be a preparation for shmitah long before it comes. It represents laying the groundwork for bitachon in order to have bitachon when needed. There are many levels of bitachon. The lowest level and the most fundamental, is knowing that everything that happens is from Hash-m. This belief is required of every Jew. The highest level bitachon is such a deep visceral trust in Him, that we are completely calm and at ease even in the face of what appears to be, or what indeed is, a disaster, chas v'shalom. It seems interesting that shmitah teaches bitachon to Klal Yisroel under the most extreme of circumstances. The whole nation may not plant at the same time. There is simply no place for anyone to obtain food. The whole nation faces famine and desolation. Why is this, the most extreme of circumstances, chosen to teach bitachon? Wouldn't it be more successful if bitachon would be taught in a step by step manner? Not sure if people in chutz laaretz are aware of this organization, Machon HaTorah vHaaretz. They are the resource for all things agricultural, including coordinating many of the national shemita efforts last year of otzar beis din and the like. I, for example, have herbs and vegetables growing on our mirpeset and in being mafrish truma and maaser we are podeh the maaser sheni on a coin that needs to be meyuchad l'kach and be treated in a certain manner. By signing up with them, i am able to use their coin and they take care of the treatment of it. The website is full of many many shiurim and articles that would be apropos for parshat Behar but also many articles on many topics, including from Rav Ariel. The popular tradition has it - that R Shimon Bar Yohai passed away on Lag Ba'Omer. And it should actually read: "Yom SIMCHAT Rashb"y"
Who is this "radical textual critic" LOL? Why it is Rav Yoseh Chaim, author of the Ben Ish Chai - in his Da'at uT'vunah! ‎ You never know who will fix a problematic girsa with hagahah! to this effect and invite you to now read it as well. In many ways, it is in furtherance of the presentation of the Torah's great challenge of depth in this matter that I feel that I must share. Update Jun. 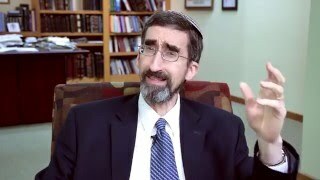 92: Homosexuality: Is There a Unique Torah Perspective? The Jewish Publication Society will offer an extended offer to all those considering a bulk order for classes and congregations. I hope that you will consider this for your next season of shul classes and, especially, high school Jewish history courses. As a scrolled down I saw a recipe for ground beef that said "add bacon". He covers a huge range of topics in Halacha. An excellent resource. Mussar: Get if from "The Horse's Mouth"
But when a living being writes or speaks, and says something that is fuzzy or controversial, to me it is downright lazy or perhaps dishonest not to verify and clarify with the author or speaker. People often put their own "spin" on things, often in a critical way, without concern of how it was actually intended. EG In Avot derabbi Nosson we see how Tzaddok and Baituss ran with a mis-interpretation or a mis-understanding of their mentor Antigonos Ish Socho. Did they first verify their denial of s'char in the next world with their Rebbe? If the agenda is honesty, then go to "the Horse's Mouth" and verify, verify, verify. What was the relationship between Haman and Amaleik? Please see this article from Parshat Zachor 5775 by R Yechezkel Rosenbaum for a fascinating approach. This week, on the Shabbos preceding Purim, we read “Parshas Zachor.” This passage prescribes the biblical Mitzvah to never forget, and to orally recall, how the people of Amalek attacked us during our departure from Egypt. In addition, it obligates us to “erase the memory of Amalek from beneath the heavens.” This Dvar Torah explores the connection between these Mitzvos and the holiday of Purim. The question, “Why do we celebrate Purim?” seems easy enough to answer. We rejoice because Haman/Achashveirosh decreed all Jews would die, and G-d miraculously orchestrated our salvation. Haman’s individual character and background would seemingly be trivial to the essence of the Purim story. But this is not so. Both the Megillah and the Gemara portray the Purim story as a battle against Haman, particularly against Haman the Amalekite. 2. The Gemara (Megillah 7a) notes that though the joy over the Purim salvation was great, it was initially unclear how the Jews were to mark the event. Esther requested that the Sages write the Purim story and include it in Tanach. Esther further requested that they establish the days of Purim as days of joy and reading the Megillah for future generations. At first, the Rabbis had doubts about this because they were unsure whether it was appropriate to add another description of our war against Amalek in Tanach. In the end, they found scriptural allusions that indicate that there is room to write about the battle of Amalek once again. Accordingly, the Sages composed Megillas Esther (the Scroll of Esther) and established Purim as an eternal holiday. It is clear that the Megillah and the holiday of Purim only came into existence as an expression of the Mitzvah to eradicate Amalek. Absent Haman’s connection to Amalek we have neither the Megillah nor Purim. 4. The prayers of Purim focus heavily on Haman. In “Shoshanas Yaakov,” we curse Haman. In “Asher Heinei” we mentioned Haman the Amalekite. Why are we so obsessed with Haman? Why is the Amalek connection so important to the story of Purim? Shouldn’t the storyline primarily be that we were spared from death? The Mechilta is very difficult to understand. Haman was a descendant of Amalek. Why does the Torah need to add an extra word to teach us that Haman must also be eradicated? R. Joseph B. Soloveitchik (Kol Dodi Dofek, ch. 10) quoted his father, R. Moshe Soloveichik, to explain the following discrepancy. As a Halachik (legal) matter this is difficult to accept. All non-Jewish lineage is paternal and is passed on biologically via one’s father. Where do we see that Amalek is different? In other words, Haman was comparable to “Hamedasa” and Amalek in his enmity toward the Jews, but Haman did not biologically descend from Hamedasa, and hence from Amalek. (R. Yerucham Fishel Perlow to Sefer Ha-Mitzvos Le-Rasag understands the Yerushalmi this way). This Yerushalmi strongly supports R. Soloveitchik’s idea. Though Haman was not a biological descendant of Amalek, our Sages clearly treat Haman as an Amalekite. This can only be understood in light of R. Soloveitchik’s novel thought that anyone who behaves like an Amalekite has the status of one. But where did the Yerushalmi learn this? Where is the scriptural source that one who behaves like Amalek must be eradicated like an Amalekite? This is the Mechilta. Comes the Mechilta and says, true, a biological descendent of Amalek is “Amalek” and we must destroy him. But how do I know that a non-biological replica of Amalek must also be exterminated? The Torah adds the word “memory” to say “even Haman” -- even R. Soloveitchik’s Amalekite -- must be eradicated. Perhaps this explains the significant attention given to Haman/Amalek. It is true that the Jewish population was spared from mass genocide. But the story of Purim transcends any particular national salvation. It is the story of G-d’s commitment, His oath, to eradicate not just Amalek but anyone who will follow in their ways and brazenly tries to kill the entire Jewish nation. Purim was a true expression of “Milchama laShem ba'Amaleik midor dor;” “an eternal battle of G-d with Amaleik from generation to generation.” It is thus unsurprising that Purim is unique in its as eternal status as a holiday. Mark Twain famously wrote in the late 1800’s. “The Egyptian, the Babylonian, and the Persian rose, filled the planet with sound and splendor, then faded to dream-stuff and passed away; the Greek and the Roman followed, and made a vast noise, and they are gone; other peoples have sprung up and held their torch high for a time, but it burned out, and they sit in twilight now, or have vanished. The Jew saw them all, beat them all, and is now what he always was, exhibiting no decadence, no infirmities of age, no weakening of his parts, no slowing of his energies, no dulling of his alert and aggressive mind. All things are mortal but the Jew; all other forces pass, but he remains. What is the secret of his immortality?" Rav Yosef in Masechest Sofrim, chaper 13 Halachah 6 gives the yichus of Haman right back to Esav. But there is no mention of Agag in the family tree. R. Meir Salasnik, however, pointed out to me that Mikra Sofrim, in footnote Chet, brings a different girsa that includes Agag. "We only say Shehecheyanu on a Mitzvah that has Simchah! And here aderabba, we are reminding (ourselves) of the cancellation of Sacrifices...."
‎This might go to supporting the idea that the "Aveilus" during Sefirah is also about the Hurban Habbayit. Whilst Islamists and neo-Nazis agree on little, they both agree that Jews are their enemy and must be violently oppressed. Originally published 3/27/11, 10:54 am. It is forbidden to hate anyone in Israel sheneemar "lo tisna et achicha blivavecha...."
However if you see someone doing a sin and that person refuses to accept hochachah it is a Mitzvah to hate him. As it is written, "halo m'sanecha Hashem esna"
I would personally modify this mitzvah to "hate" to something more akin to "disapproval" in the spirit of Loving the Sinner but hating the Sin. Just note that, at times, being too forgiving may devolve into enabling. In other words, there is no "Chessed" IMHO to give liquor to an alcoholic no matter how much the alcoholic may plead for it. Similarly, supporting a Sinner can foster his or her self-destruction. 2. The notes in the Peirush "Bei'urei Sof'rim" cites the Yam Shel Sh'lomoh at the end of Bovo Kama who lists (all) the hilukkim between E"Y and Bavel. I haven't seen that, but I bet it makes for a fascinating read. My chavrussa and I were M'sayyem Sof'rim with the Vilna edition along the Soncino English translation. The Vilna has an outstanding Peirush Nachalat Ya'kov plus hagahos from the GRA and Peirush "Kissei Rachamim"
The edition I'm now using for hazarah is based upon the Gra's Nusach and has a nice summary Bei'urei Sof'rim who suimmaizes the, N"Y plus other acharonim. I plan a siyyum for ‎ my brother's yahrzeit BE"H on 6 Iyyar. Sof'rim is really a must read for "Minhag Addicts" like me. Did we forget Yom Ha'atzmaut? Some of our readers may have noticed that there was no Nishmablog post for Yom Ha'atzmaut. Could it mean that we were possibly making a statement through this lack of even a post. The fact is I was wondering myself why I didn't post something, at least to mark the day (which I do, in some way, personally mark). What occurred to me was my own ambivalence about the day which, perhaps, indicated something to me about our celebration of Jewish holidays. What are we really marking when we celebrate, for example, Pesach? The simple answer may be freedom but I think that that is only part of the answer. The full answer includes a recognition of God's role in our Exodus and the expression of shevach v'hoda'ah in appreciation. The focus of Pesach is not on freedom itself but our appreciation to God for this freedom. This led me to recognize that with Yom Ha'atzmaut we have the same issue. Are we celebrating the establishment of an independent Jewish country or are we celebrating God Who gave us this country? The two poles, of course, represent ends of a spectrum with different individuals experiencing different feelings -- but what is most dominant, that feeling of celebrating independence (a feeling that can be shared with secular individuals as well), or that feeling of shevach v'hoda'ah to HaKodesh Baruch Hu for giving us this independent nation? I once heard a rav explain that it took 100 years before Chanukah was clearly accepted as a holiday to be celebrated into the generations. This may have been the issue. Clearly all felt positive in throwing off the Greek oppressors but was the dominant emotion a secular celebration of independence or a religious recognition of the Divine? It may have took years to answer that question or to bring the emotion that substantiates an eternal value in the day to come forth. The same may be true for Yom Ha'atzmaut. Clearly it is a day that I mark and celebrate. I benefit from the reality of a State of Israel. But why did I not blog about? This celebration, it would seem, for me still has not moved into my realm of Torah thoughts. While I thank God for the State, I have not crossed the line where the celebration of God's role has precedence in my feelings over the feelings of independence itself. It has, as such, not yet become an eternal value within my structure of Torah. Thus it was possible for me to let the day past without a blog post. Is this something that I should work on for next year or is this simply a reflection of the present reality of the day? That is something for me to think about but it may be something that demands further contemplation by all of us. Parsha: Kedoshim, "Kedusha - Beyond the Spiritual"
May 15 Introduction -- Values Do Conflict! is your prime identity then with the group or still with humanity? how does that impact freedom? and taking care of others? If there is a time to talk and time not to, how do you know how to decide? and when to step back? Obama aide on Iran 'deal': Hey, we turned media and think tank experts into an 'echo chamber'! "We are reporting what is written on this website as is. We cannot verify the accuracy of these allegations due to our limited knowledge of Arabic. For now we just take it at face-value"
I have actually written things in my own hand that did not represent what I MEANT to say. Despite Hazal being heavily influenced by Greek culture they did not let it impact their Halachic decisions. A wise rabbi wrote me privately - did you MEAN this? Despite Hazal being heavily aware of Greek culture they did not let it impact their Halachic decisions. My original post was mis-leading because it was not carefully written. he told me YES and then apologized for even suspecting me! I told him he had every right to clarify with me off-line first and no apology was needed. His menschlichkeit prevented an unintended argument when were actually in "violent" agreement! Op-Ed: Has the world learned anything since Brussels? Has the world learned anything since Brussels? It has become alarmingly clear since the Brussels terror attack that the West either doesn’t understand the nature of Islamist terrorism or doesn’t want to. President Obama denies that the Islamic State poses an existential threat, belittles those who disagree, and seems more vested in undermining allies and political opponents than fighting terror. Whether acting out of ideology or naiveté, he refuses to admit the role of religious doctrine and instead blames terrorism on generic criminality, violent extremism, gun violence, or global warming. He fails to address the jihad and genocide being waged against non-Muslims in the Mideast and beyond, does not speak honestly about the Islamist threat, and portrays those who do as hatemongers. Under his administration, the U.S. has abdicated its global leadership role and left a void in which Russia seeks to reconstitute its empire, China threatens American strategic and economic interests, and Iran continues to export terror while violating a feckless nuclear deal under which it derives great benefit but makes no concessions. The president has eschewed sound military and intelligence advice in favor of policies that have destabilized the Mideast, empowered terrorists, and caused a refugee crisis that is tearing Europe apart. Whether the administration’s foreign policy stems from ideology or incompetence, it seems to regard Islamic radicalism as a natural response to western oppression, though European entrée into the Mideast was preceded by centuries of jihad waged in Europe by Arab-Muslim invaders. Its knack for promoting revisionism is facilitated by the public’s lack of historical perspective, as reflected by the inability to recognize that ISIS is not historically aberrant, but rather embodies the same doctrine that mandated forceful spread of the faith starting in the eighth century. To them, it was just sensationalism -- but to us it was a real shaila as evidenced that it was presented to HaRav Chaim Kanievsky and was thus serious. The issue was actually the use of medical marijuana on Pesach and, when it comes to Pesach, any new item of consumption always becomes a question. Just look at the issue of quinoa. (Perhaps one of the issues of quinoa is this very fact itself -- but that still is the reality.) This was also not just about recreational marijuana but its use for medical purposes. I found it actually to be a clip worth the few seconds spent watching it -- for reasons actually beyond the sensationalism seen in it by the Daily News. I do wonder, though, why someone taped it. How anti-Semitism remains Politically correct on the Left, while racism towards Blacks and Misogyny towards women remains condemnable. WHOM THE WHITE HOUSE FOUND "FRUSTRATING"
Vice President Joe Biden's declared "frustration" with the Israeli government may have insulted Prime Minister Benjamin Netanyahu, but he is only the latest in a long line of Israeli prime ministers in whom the White House has found fault at one time or another. Ironically, many of the Israeli leaders with whom past U.S. presidents have clashed were from the leftwing Labor Party, not the rightwing Likud. Israel's first prime minister, David Ben-Gurion, was the first Israeli leader to find himself at odds with Washington. In the spring of 1948, President Harry Truman instructed the State Department to pressure Ben-Gurion to postpone declaring the establishment of Israel. If the Zionist leaders refused to back down, "they need not expect anything from us," Truman told the State Department's Dean Rusk. Truman made good on that threat. Although he extended diplomatic recognition to the newborn Jewish State, the president imposed a total arms embargo on Israel throughout the War of Independence. Nevertheless, Ben-Gurion never regretted his decision to declare statehood. The administration of President Dwight Eisenhower, too, expressed Biden-like "frustration" with the Israelis. Secretary of State John Foster Dulles in demanded that Israel agree to let Jerusalem be ruled by "the world religious community." Eisenhower's State Department declared in 1953 that Jewish immigration to Israel from around the world was making the Arab nations feel threatened, so Israel needed to "re-examine its policy of encouraging large-scale immigration." Eisenhower's frustration with Ben-Gurion reached new levels after Israel's pre-emptive strike against Egypt's Gamal Abdel Nasser in 1956. The president told aides that he considered Ben-Gurion an "extremist" and questioned the Israeli prime minister's "balance and rationality." James Reston of the New York Times reported this colorful illustration of the president's anger toward Ben-Gurion: "The White House crackled with barracks room language the like of which had not been heard since the days of General Grant." Those insults were soon translated into concrete steps, as the Eisenhower administration blocked U.S. assistance to Israel and threatened to impose sanctions unless Ben-Gurion ceded territory to Nasser. President John F. Kennedy, for his part, was frustrated by Ben-Gurion's refusal to acknowledge that Israel was developing nuclear weapons. Meeting in New York City in May 1961, JFK pressed the Israeli leader for details on what was taking place at the Dimona nuclear research facility. "Ben-Gurion mumbled and spoke very softly; it was hard to hear him and understand what he was saying, partly due to his accent," according to Prof. Avner Cohen, author of Israel and the Bomb. Recently-declassified National Security Archive documents show that U.S. inspectors who were given a partial tour of the Dimona facility in 1962 felt they were being "tricked" and "misled" because they were shown only some of the buildings. The Israeli prime minister who received perhaps the harshest treatment from a "frustrated" White House was Yitzhak Rabin. Today, of course, Rabin is remembered fondly in Washington for the concessions he made as part of the Oslo accords in 1993-1995. But Rabin was not very popular at the White House in the spring of 1975, when he balked at the Ford administration's demand that he give strategic Sinai mountain passes and oil fields to Egypt in exchange for little more than a brief cease-fire. In his book The Secret Conversations of Henry Kissinger, Matti Golan, the chief diplomatic correspondent for Ha'aretz, revealed what happened next. President Gerald Ford sent Rabin a telegram that was "tough, even brutal." Ford "ominously warned of damaging relations between Israel and the United States" if Rabin failed to "consent to Egypt's conditions." When Rabin hesitated, Ford announced that Israel was to blame for the failure of the negotiations, and said the U.S. would undertake a "reassessment" of its Mideast policy. All American military aid to Israel was suspended in the meantime. Secretary of State Henry Kissinger cranked up the pressure by giving a series of off-the-record briefings to reporters in which he blasted Israel's leaders. Rabin was "a small man," Kissinger told the journalists; Defense Minister Shimon Peres and Foreign Minister Yigal Allon were consumed by "petty personal rivalries." Kissinger himself proved to be remarkably petty. He "directed that the special line connecting his office to the Israeli embassy should be removed"; all telephone calls by Israeli ambassador Simcha Dinitz to Kissinger were now transferred to Kissinger's aides; and "when they met at Washington gatherings, it was no longer 'Simcha,' but 'Mr. Ambassador.' "
A worried Rabin tried to appease Washington by announcing a unilateral withdrawal of some of Israeli troops from near the Suez Canal. Washington's response? "Kissinger let it be leaked to the press that he regarded the Israeli gesture as meaningless." When Rabin visited Washington in June, the pressure intensified, according to Golan: "Ford warned Rabin right away that the approaching American elections would not get Israel off the hook. If there was no agreement with Egypt, Ford said, the United States would go to Geneva with a plan of its own, even if it lost him votes and stirred up opposition in Congress." Confronted by these pressures, Rabin and his cabinet "simply caved in." Whether Likud or Labor, more than a few Israeli prime ministers have been stung by the barbs of a "frustrated" White House. No doubt the Israeli leaders have, in turn, felt frustrated that some American presidents have seemed to give short shrift to Israel's legitimate security concerns. The good news is that an occasional outburst by an official on either side is no reason for panic; the America-Israel alliance has withstood may challenges and no doubt will withstand others in the future.